The Rotary Club of Burnham on Crouch & Dengie Hundred has been active since 1964. Over the years it has raised many thousands of pounds for charities and good causes both within our area and further afield. Burnham’s Rotary Club is one of 1,800 clubs with over 58,000 members in the UK & Ireland. 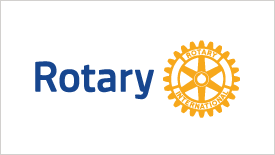 Rotary is the world’s largest non-religious, non-sectarian and non political service organisation. It is active in some 168 counties worldwide. As well as raising funds for charities and good causes it has an extensive social programme. For more, visit either www.burnhamrotary.info or www.rotarygbi.org. You can also find them on Facebook by searching for ‘burnham on crouch rotary club’ or follow them on Twitter by searching for ‘Burnham-O-C Rotary’.